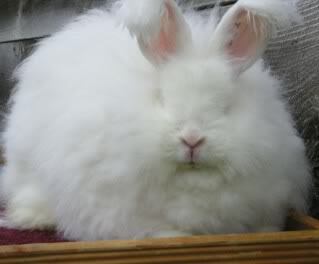 Featuring Show Quality German Angora Rabbits, Giant Angora Rabbits A+ Quality Cages and More! by appointment in Southern Vermont USA to approved homes. *how you plan to care for them. Please note, we do not ship rabbits ever. rabbit buyers must come here to pick up rabbits. FOR PURCHASE INFORMATION CONTACT US NOW! Angora Fiber for handspinners, organic exotic fibers, organic natural fibers for handspinners, naturaly dyed roving, handspun organic angora yarn, handspun wool yarns, hand spun exotic yarns, hand-spun yarn,Fiber arts supplies, Vermont Organic products, Looms, frame looms, pot holder looms, loopers, knitting supplies, weaving supplies, felt making tools, needle felting, washboard felting equipment, drop spindles, exotic handcrafted spindles, online how to spin education articles, free angora grooming demo with purchase of bunny, German Angora, Bunnies, rabbits for sale, Shetland fleece, organic shetland fleece, organic wool, craft wool, roving, wool roving, soysilk, soy silk roving, milk latte roving, silk roving, cashmere, baby camel fiber, baby camilid fiber, angora goat fiber, mohair,kid mohair fiber, handspun kid mohair yarn, handspun knitting kits, knitting kits, felting kits, spinning kits, fiber arts books, spinning video, how to weave video, how to knit video, elizabeth zimmerman knitting video, lots and lots more....if you dont see it online just email us & tell us what you want, chances are we have it & we have the best quality you'll find anywhere...We love our orgainc fiber critters, we spin,dye, weave, felt and have 35+ years fiberarts experience! we wouldn't sell if if it wasnt the best. We want you to know and understand as much as possible about how to care for Angora Rabbits. 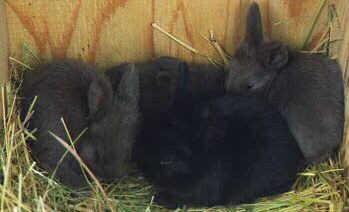 The Finest in Purebred, Pedigreed German Angora Rabbits, Giant Angora Rabbits AND Bunnies Available.